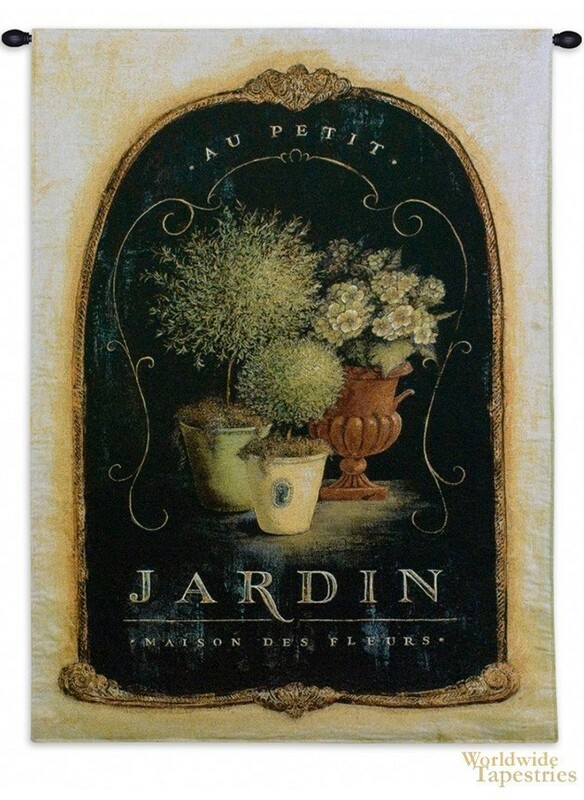 A delightful work showing a little topiary potted garden. In French style, this tapestry shows a little arragement from the "House of Flowers". The French love art and the creations of art through gardens and topiary is one such expression of art. This tapestry is backed with a lining and has a tunnel for easy hanging. Note: tapestry rod and tassels, where pictured, are purchased separately.